You may have heard about the series of major earthquakes that struck in this area in July and August 2018. The local infrastructure, which is built around tourism was seriously affected.Many people lost loved ones, their homes and their livelihoods. Just by booking a holiday on the island, you can show your support for the local people and also help to boost the economy. 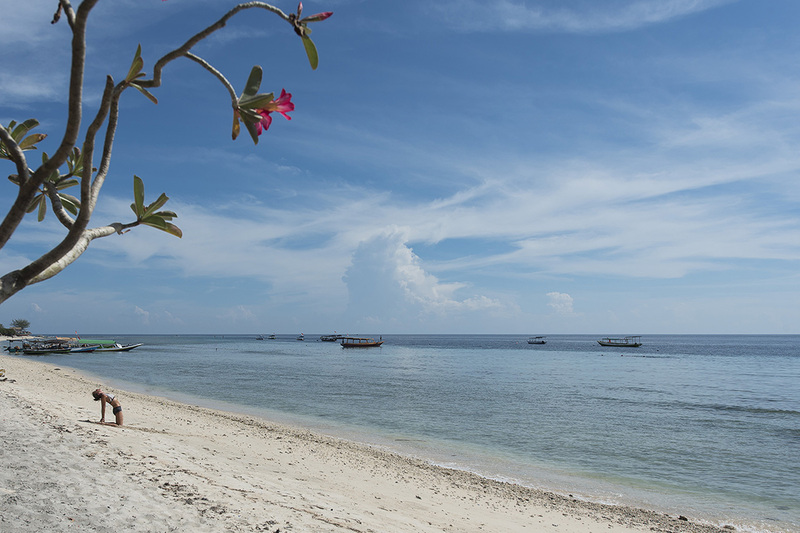 Read on to find out more about holidaying on Gili Trawangan and how it will help. The Gili Islands have been a bit sleepy since the earthquakes, which is a bonus for some travellers. If you like to have long stretches of beach to yourself, take relaxing walks through coconut groves, and watch the stars, you couldn’t choose a better place to be in the upcoming months . You’ll have your choice of bean bags on the beach for sunset and the best loungers to sunbathe on. Sounds heavenly right? There are still some businesses being rebuilt and by spending money on the island you can help. Other businesses like Villa Almarik have been lucky to not suffer as much damage as some and most repairs are now finished. Encouraging guests to come and enjoy their time at the hotel is important for boosting the local economy and ensure people can continue working to support themselves and their families. Remember though, everything you do on the island from renting snorkeling gear to buying snacks at local mini marts will help someone to get back on their feet. Villa Almarik is currently offering discounted stays between January and May 2019. 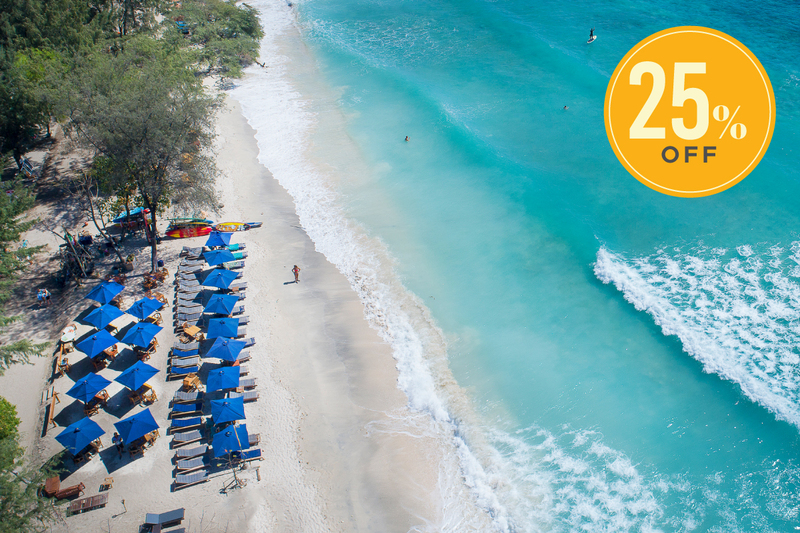 You’ll get 25% off your room and also some awesome extras when you book directly through our website. Don’t miss out on a free massage, discounts on food, return transfers from the harbor, and early check-in and late check-out. Gili Trawangan is a fantastic option right now for all of the reasons above and also because it’s just an amazing holiday spot. Whether you want to relax on the beach, chill with the kids, dive with Gangga Divers, snorkel, or have a romantic getaway, Gili T is the island you’ve been searching for.